Keeping that in mind, I’ve listed my top 5 text messages along with some explanations, in hopes that it may shed light on where introverts are coming from. This probably does not justify many of the texts we have sent, but at least it is an insight into our very overactive, high-strung minds. The following are texts I have sent on numerous occasions and I can safely testify that most introverts may have as well. Have you received any similar messages from friends? When introverts make plans, we honestly have the best intentions possible. We are filled with hope, optimism and enthusiasm. But it’s not long before we start doubting the anticipation that has built up as the day gets closer. Next thing you know, we are texting ‘sorry’s’ and profusely apologizing on the group chat! Considering the countless number of times I have ditched these plans, it’s surprising I still have a handful of friends left. So to those who still stick by me, thank you! Are you expecting 4, 6 or 8 people? Yes. It makes a difference!. And did you just choose not to tell me who all will be there. Yes. It makes a difference! Introverts mentally prepare themselves for how much human interaction will be needed. We need to psyche ourselves up before we leave the house. Will it be a few close friends, or a room full of acquaintances that will lead to the much dreaded meaningless small talk. Will I need to devise an exit strategy ? First. Secret little dance of joy. Second. Make alternate plans that usually involve Netflix, pizza and chocolate. Perfect evening! It’s nothing personal though. I think with the amount of planning and over thinking that introverts go through to enjoy a night out, it almost makes sense to relax at home. So when someone tells you plans are cancelled, it is almost a relief! And the best part is, you didn’t have to be with one to do it. But I am doing something. Reading and watching a movie at home. That’s the plan. Why would you assume I would want to do something else? It may not seem as much, but rest assured, it’s the downtime we crave. I’m sure you’ve come across this before: introverts are never lonely, even if they are alone. Truth be told, my phone was probably charging, but chances are it was next to me. Yes, I made an excuse, because I was not up for talking on the phone at that time. Or maybe I was wondering what you wanted to talk about? Would it be a quick ‘ do you have jumper cables?’ type call or a long-winded tale of how you spent your day furniture shopping in the Doha – kind of call . Introverts, aren’t rude, though it may come across as that. But I assure you, they will call you back. Who am I kidding? Chances are they will probably text you back. In their own time though. Even with all the countless articles, graphics and talks on the media these days, Introverts tend to be misunderstood. If you would like to read more about that, here is my previous post. 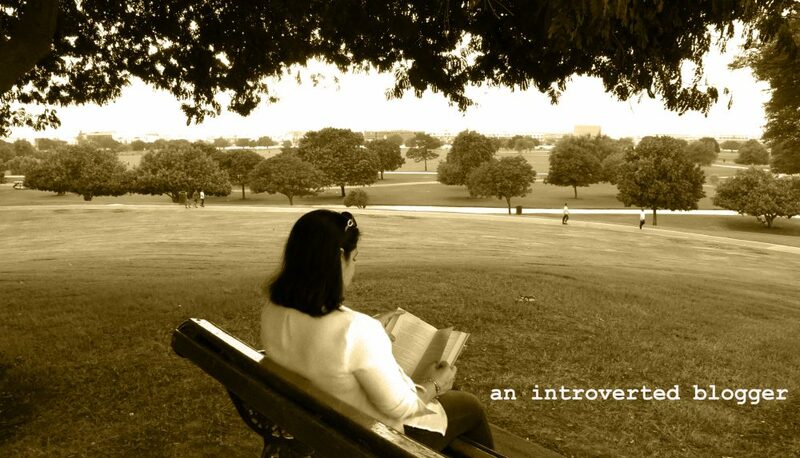 This entry was posted in Reflections and tagged an introverted blogger, avoiding, doha blogger, expat blogger, introvert, introvert life, introvert mind, introvert thoughts, introverts, phone reluctant, psyche, text messages, understanding by An Introverted blogger. Bookmark the permalink. This is so refreshing and affirming. Sometimes I just don’t have the energy to return a text or call. Sometimes we just need to hibernate for a while! Thanks for stopping by! Introverts, aren’t rude, though it may come across as that.—-Amen to that. Hahaha … it does explain a lot !! Esp when I called someone for a very urgent and quick query and was asked why did I call and not text . Thanks for speaking up for them . Loved this post, Nadia! As an introvert, I totally feel more comfortable texting than talking over the phone. When catching up with others, I definitely prefer text message and it gives me time to think if the person wants to spend quality time. Also as you mentioned, I don’t get too upset when someone cancels plans together. Part of me might feel sad because quality company does perk me up, but also spending time alone is always something I never fail to enjoy. Very well-written! I’m cracking up in the car because this explains soooo much!! Needless to say, my phone calls only occur when I have to discuss the minutiae of a particular gym class or a sudden burst of gossip. Amazing!!! So apt.The last one was a perfect description of me!! I relate to every single one of these. It’s weird for me, I consider myself an extroverted introvert. I am chatty to people I have become close to, but not always. If that makes sense. I can relate totally, I have social phobia and a party invitation brings me out in a rash! Good one! I can relate to all of them and LOL at the furniture shopping calls!